Nash Tackle is a pioneer in carp fishing tackle and is constantly striving to design and manufacture new and innovative gear that will truly help out anglers down on the bank. Its founder, Kevin Nash, has been on the angling scene for more than 50 years and his wealth and knowledge and experience is always put to use when it comes to creating new gear and equipment. His passion and love for carp angling has never wavered over the course of the years, and his and the rest of the team at Nash’s dedication to fishing is what makes its products truly unique and helpful. 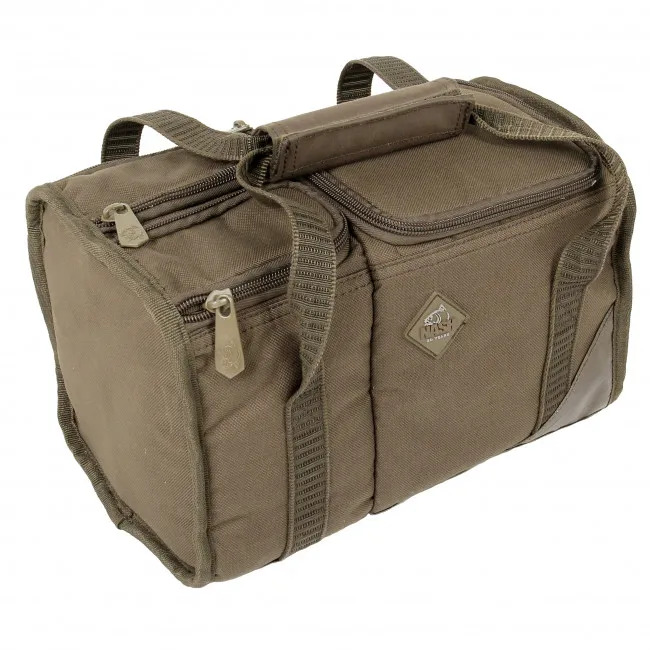 This Nash Brew Kit Bag XL is just one of the brand’s excellent products that make a huge different when you’re down on the bank. Having a nice cup of tea when you’re down on the bank is an absolute essential, especially when it’s cold and the weather isn’t at its best. 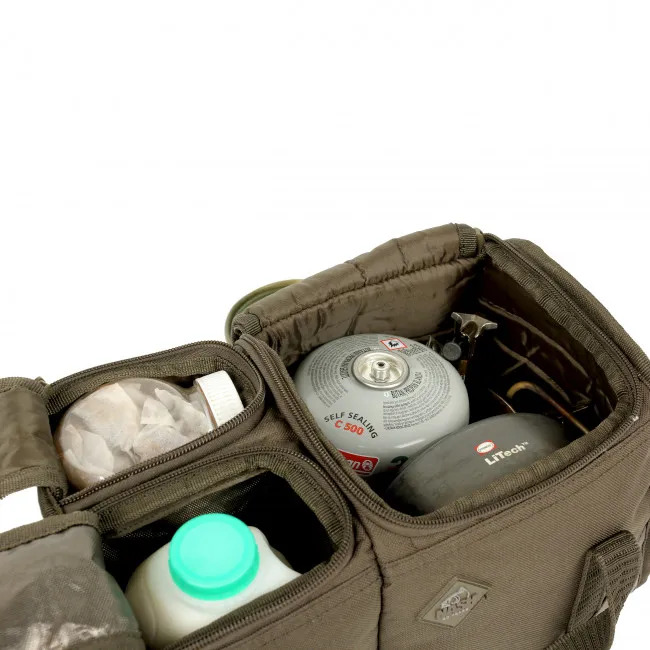 One problem many anglers encounter when trying to fulfil this simple need, is how to keep their milk fresh and all their gear in one place so that they can make the perfect cuppa. With this brew kit bag, you can do all of this without having to leave your seatbox. 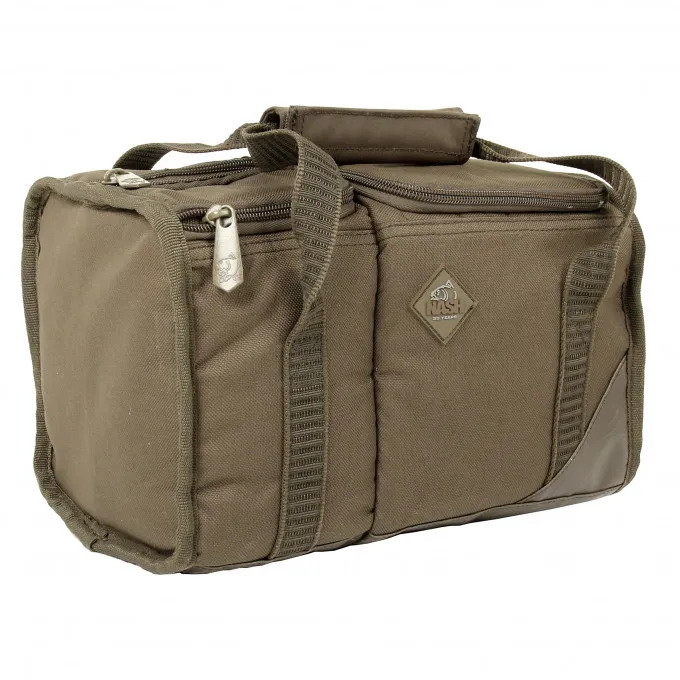 This brilliant Brew Kit Bag has an insulated compartment which has been specially designed to keep milk fresh. Now, you no longer have to deal with lukewarm milk in your tea when you’re on the water’s edge. You can experience the perfect cup of tea as if you’re sat at home, whilst still keeping your eye on your bite alarms. You get the best of both worlds with this superb brew kit bag. With this great asset, you can be on top form without being distracted with the thought of a nice hot cup of tea, because you have one right at your fingertips. This bag not only keeps milk fresh and cold, but the other side will also house a stove and gas perfectly. This will allow you to store everything in one place, so you can boil anything from water for your tea or a bowl of soup to keep you going throughout the day. Having to leave the bank to find a café when all you want is to reel in some carp can be a pain, so this handy bag will save you the trouble and enable you to stay right by your rods so you don’t miss a single bite. Keeping your gear organised is a chore every angler has to endure, and this Nash Brew Kit Bag XL will help you do this even with your drinks. Thanks to the variety of different compartments and sections, you can keep your kettle, cup and brew kit tidy and neat. This way you can access everything quickly and easily; there’s no chance you’ll be wondering where you left your mug last time you used it because it will be right there next to you in your brew kit bag. If there is a drink around it is inevitable that it will get spilled, so the fantastic designers at Nash have made sure this bag is prepared for this. It has a wipe clean waterproof base so if any spillage does occur, you can wipe it away quickly and easily without a fuss. You can keep your bag clean, so that your brew kit stays clean too. 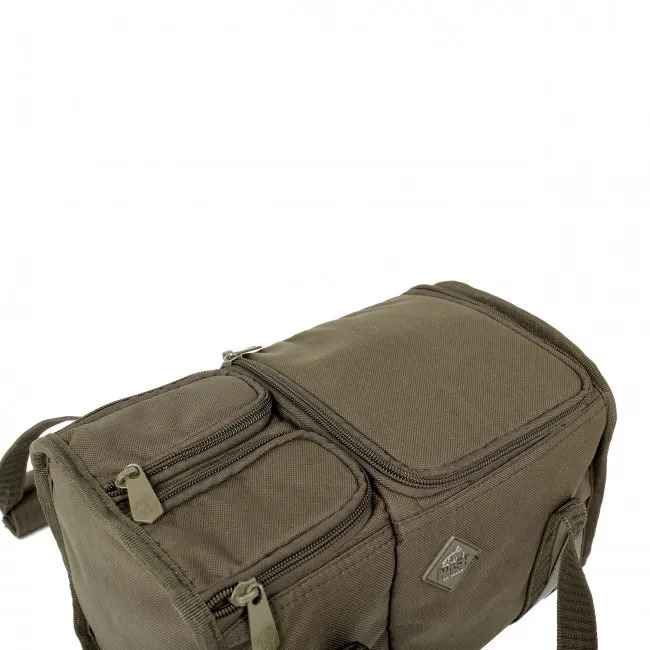 This superb bag also features suede carry handles with Velcro linkage which makes it a breeze to carry down to the bank. Carrying a brew bag along with the rest of your gear can be a daunting task, so Nash made it as easy as possible for you. Great service and product as advertised. Husbands thrilled I’ve bought this and can’t wait to use it! I had the original Nash brew kit bag,so thought, I would buy the XL version & I wasn’t disappointed, it’s very well constructed as is always the case with Nash, I’m really happy with my purchase. Ideal for long or short sessions. Well made and robust. Milk cooler pouch is extremely useful. Very pleased with this purchase. Tea gear and milk all together.